This article is a review of MALEFICENT. Fifty-five years on from Disney’s cartoon classic, SLEEPING BEAUTY, a live action revisionist blockbuster has emerged to tell the story from the perspective of the titular villain, played by Angelina Jolie. Blandness has seeped into the very fabric of the movie, punctuated by moments of out-of-place violence. We are in JACK THE GIANT SLAYER territory when it comes to the cacophony of uninspired computer generated imagery world creation. 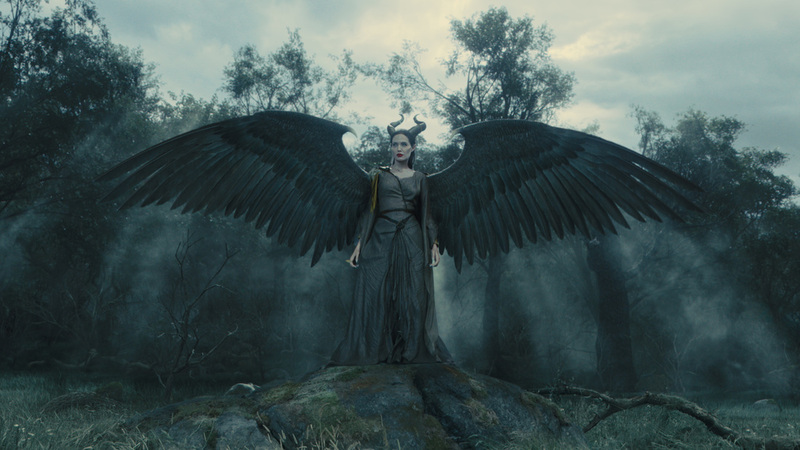 Lacking the immersion of SIN CITY or AVATAR or LIFE OF PI, MALEFICENT has neither enhanced realism or spectacular imagination to offer. 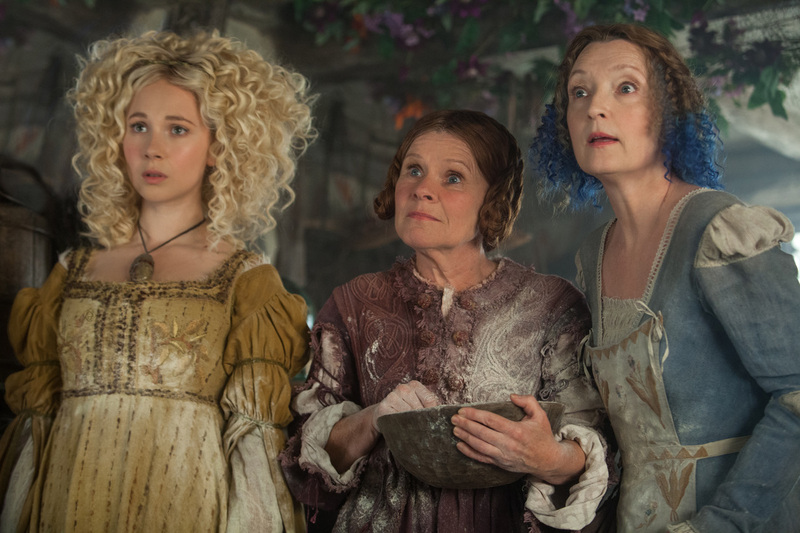 Typifying the spoon-feeding of ideas and the over-explanation of lessons learned, Janet McTeer’s unnecessary narration kicks us off explaining how two kingdoms sit side by side – the human one ruled by greed, envious of the neighbouring leaderless and wealthy magical realm. Gone is the scroll of initial narrative; are modern family filmmakers afraid of the whiff of the bookish? It’s not clear what the magical land is wealthy in exactly, apart from annoying creatures that throw mud at each other. Oh the japes they have! Consisting of an under-populated castle among vast countryside, what exactly do the humans need? Attention to detail is not MALEFICENT’s strong suit. 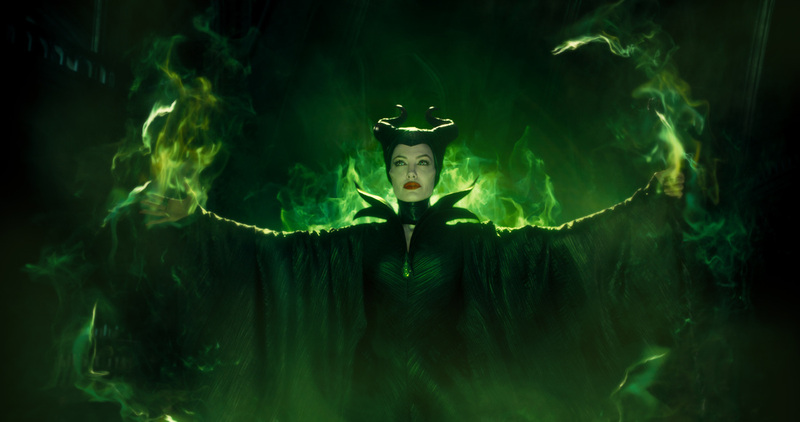 Focal point of the mystical inhabitants is Maleficent, a winged fairy. Devoid of rhyme or reason, her powers include randomly utilised telekinesis, healing and energy manipulation. Like all superheroes, she has a weakness: Things made of iron burn her. Why? As a child Maleficent is still the protector of her realm, and spying a young human thief, a quickly told romance is explained. Jumping through the years sans establishing emotionality, adult Maleficent, reminding of Tilda Swinton’s archangel Gabriel in CONSTANTINE, awaits the return of her Stefan, who is teetering on the edge of joining the dark side. We get given a crummy sub-LORD OF THE RINGS monster battle between the two lands, and the douche bag King Henry (Kenneth Cranham) is mortally wounded. On his deathbed, his kingdom is offered to anyone who can kill Maleficent. So what does Stefan do? That’s right, he worms his way back into Maleficent’s affections (the narrator has to tell us this, as the rest of the script can’t be bothered to show it), drugs Maleficent, and cuts off her wings using a scary-looking iron garrotte thing. Are they serious? What age level is the film aimed at? Such mutilation is more suitable to Shakespeare’s TITUS ANDRONICUS. Was the idea to make a crude metaphor as to how women can be treated by their first boyfriends? Not descending into KILL BILL’s roaring rampage of revenge, Maleficent hangs about until King Stefan’s daughter Aurora is born. Then, turning up at the castle, curses the child to prick herself on a sewing spindle, which happens to be in the middle of the throne room, to sleep forever. You can write a fairy tale, you can read a fairy tale, but showing a fairy tale literally needs careful updating for modern sensibility. 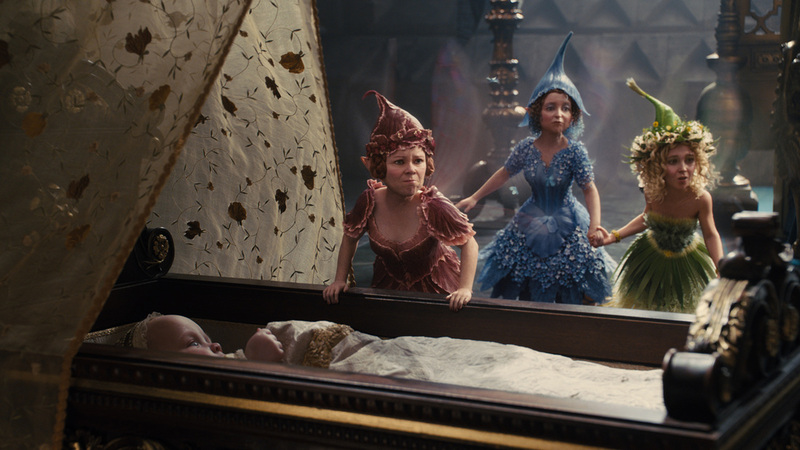 So many liberties are taken with the SLEEPING BEAUTY mythology, adhering to that is nonsensical. Having a plethora of female characters does not make a project feminist or containing characters worth aspiring too, see also FROZEN. Does MALEFICENT champion traits worth celebrating? You will have to sift through the debris to find any glimmers.